Trading is a game of possibilities. Seasoned and beginner traders, however, learn fast that mitigating trading losses is sometimes more important than making a profit. When it comes to a trading strategy, one of the most important aspects you need to consider is stop placements as a direct way to protect your account balance from significant changes caused by the market’s volatility. A stop order is an order you place to sell a stock or asset once it reaches a certain price. If the asset reaches that stop price, then the order is executed, and the assets get sold at their market price. As we all know, a stop order’s main goal is to minimize an investor’s loss. The game of chess begins when the investor has to choose when and how to make it. Today we will look at five ways better stop placement can reduce your trading losses and even gain you some profit. The Average True Range (ATR) helps you calculate the average of past highs and lows of an asset to determine a projected range for a chosen time frame. Higher ATRs for an asset indicate a more volatile market, while lower ATRs are indicators of the opposite. Commonly, it is considered unlikely prices will stray too far away from these projected margins. This is why traders prefer to place stop losses above the projected high (in short positions) and under the projected low (in long positions). The trick to lowering your losses and gaining more dynamic stops is to use a certain percentage of the ATR, thus making sure your stop also changes according to the market conditions. Such a method is recommended for Forex beginners and expert traders alike because it makes sense to use wider stops to account for volatility, thus limiting the risks of being stopped out only to realize the market reverses and moves in the direction you initially predicted. Stop placements are indeed a good measure of keeping yourself protected from losses. This is what all new investors need to know, among other things. Oftentimes, however, stop orders also lead to you being stopped out – and it would be a shame for you to hit the sell stop just before the assets start on another ascending path. For you to get stopped out, the assets have to fall to the sell stop price that you already set and get sold. 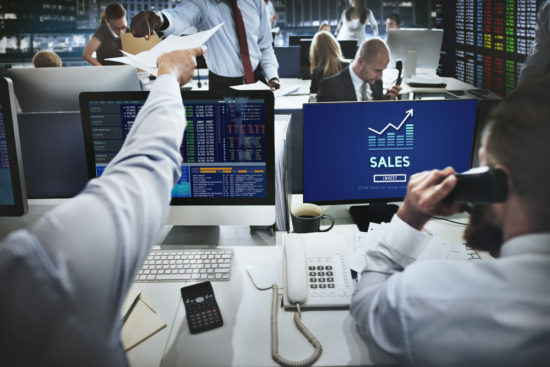 In order to avoid this, you should set your stop placement at an odd number that provides you with enough room to account for the last potential round of selling. For you to make sure a round of sell orders go through without triggering your sell stop determining an unnecessary loss for you, make your stop placement at say $32.26 instead of just $32. In comparison to a fixed stop order, a trailing stop is a wiser alternative to consider as it permits the trader to further protect their capital if prices drop. If you use a hands-off stop order on a Forex trade, for instance, you exit the trade once the assets are sold. However, a trailing stop order allows more protection of profit while still reducing the risk to capital when the prices increase again. The trailing value of a stop can be a fixed percentage or a fixed spread. The trailing stop follows the day’s high by the predefined amount, and once it is set, it cannot fall back. In case the last price goes below the value of the trail stop, this will consequently trigger the stop loss. 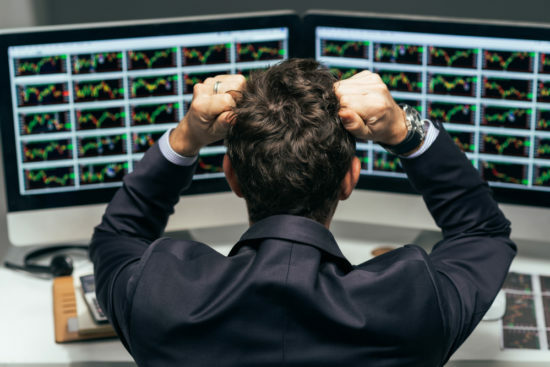 The main advantage of trailing stop orders is that they allow you to establish how much you are willing to lose without putting limits on the profit amount you are going to gain. Trailing stops are flexible to plenty of exchanges that currently support the more traditional stop-loss orders. Getting the best of the protective benefits of traditional stop-loss orders and the gaining benefits of trailing stops is an acquired skill, but it is not impossible to achieve. First and foremost, you need to calculate your maximum risk tolerance of your entire portfolio and make sure you place the main stop-loss orders based on thorough analyses. The second lesson to be learned, according to specialists, is to always set the trailing stop above the classic stop-loss placement. As an example, you can set your initial stop-loss at 3% and your trailing stop at 3.5%. When the price increases, the trailing stop will surpass the stop-loss making it useless. If the prices continue to rise, you will further mitigate potential losses with each price tick going upwards. Once the assets gain a certain level of support, you can trail the assets’ price movements without being stopped out. Of course, you need to cancel your traditional stop order when the trailing stop surpasses it. In order to set stop orders better to minimize loss and still have enough room for profit, you should use indicators such as Donchian Channels. They are, however, bound to trending markets. These tools help you to determine bullish or bearish bias. Essentially, traders in long positions can set stop-loss orders using the DCs by better understanding bullish bias (upward breaks of the upper band) or bearish bias (downwards breaks of the lower channel). For instance, if you initiate the long trade when prices go beyond the upper band, you should also place the stop-loss order under the lower band. The use of Donchian Channels is usually recommended to seasoned traders, as it involves formulas and evaluation techniques, together with setups that make their use more user-friendly. Stop-loss orders, in their simplest, most traditional way of use help you minimize your losses and play on the safe side of trading. But better stop placements and the combination of multiple stop placement types and techniques will not only protect your capital but also gain you profit. The lesson to be learned, in conclusion, is that in order to become a successful trader you should not only master your numbers and predictive analysis skills, but also your risk tolerance and patience. Trading is a game of probability. This means that every trader will be wrong sometimes.